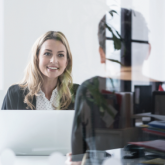 It’s important for today’s talent acquisition professionals and HR leaders to keep a pulse on the constantly changing landscape of recruiting and HR. Understanding the concerns and behaviors of employers and job seekers can help you find and retain top talent and grow your organization. Below are curated statistics on the topics that matter most in talent acquisition today.